Fun Extra: They're not called Sticker Swaps for nothing. 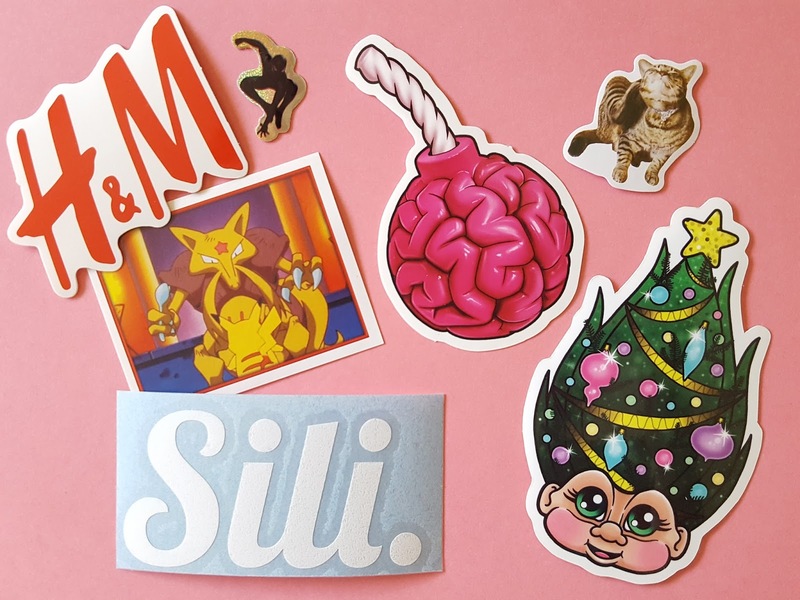 If you send them an envelope of mixed stickers they'll send one right back to you! Better late than never! Evidently this sticker pack decided to take the long way to my home, but the bottom line is it's here. 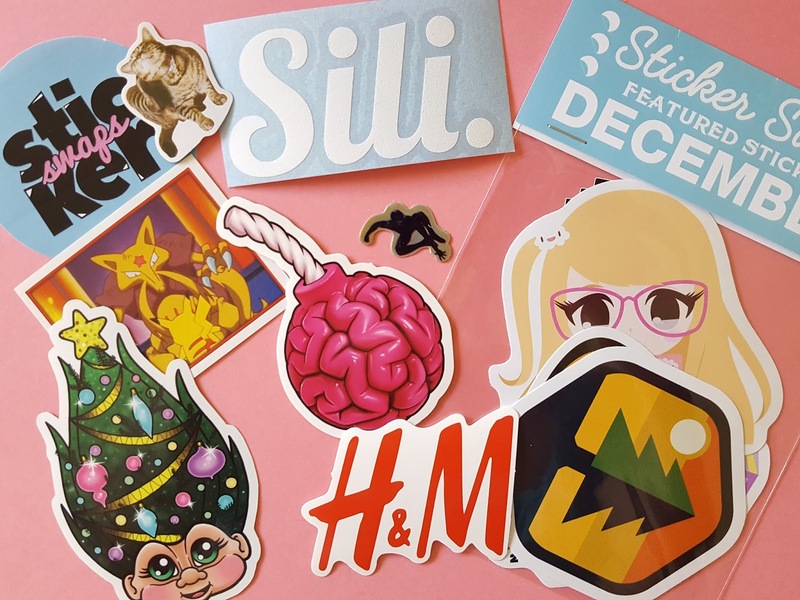 In case you haven't heard of them, Sticker Swaps strives to give businesses exposure through stickers. Companies send them their branded stickers and Sticker Swaps sends it out to their subscribers. The first sticker that popped out at me was a familiar one from one of the November artists, Stabby Gabby. There was also one from Sili a British sunglasses company, and H&M. I'm still trying to find out who created the brain bomb and Pokemon stickers. As I mentioned earlier, Sticker Swaps helps designers get their name out through its subscription packs. Just think...how cool would it be to go on a road trip and see your sticker on a random street sign?! I just wish they provided some kind of info card explaining the great minds behind each sticker; I think that would help them out tremendously in terms of gaining publicity. 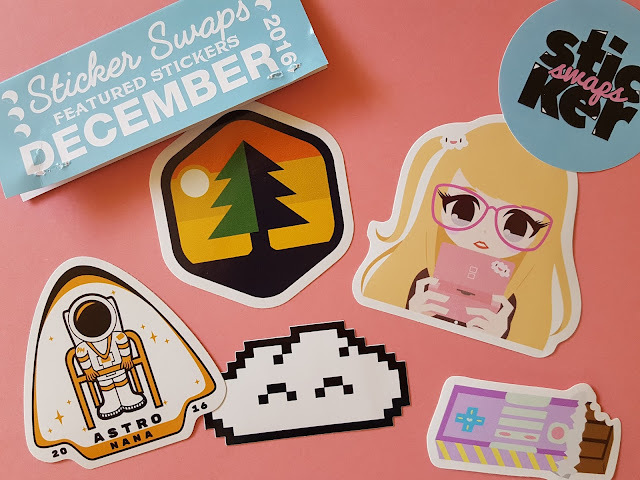 If you want to try Sticker Swaps, use code BLOG50 with any plan at checkout to get 50% off your first month! And if you're a designer and would like your stickers to be featured in a future Sticker Swaps pack, drop them a line.